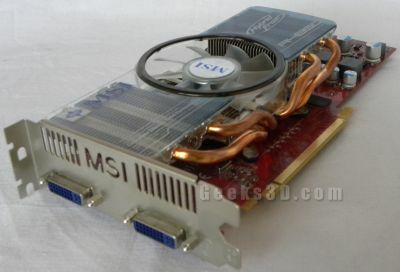 I recently played with MSI’s R4850 Hybrid Frozr, a Radeon HD 4850 graphics card equiped with MSI’s Hybrid Frozr VGA cooler. The first time I plugged the card in my testbed, I believed the fan of the VGA cooler was broken: the fan was stopped. Even when I launched FurMark, nothing: the fan was still immobile. Actually it’s the normal functioning of the cooler. The Hybrid Frozr can really operate at zero noise (or 0 dBA: the fan is stopped – passive cooling) and when the GPU temperature exceeds a threshold, the fan is started to cool the GPU. This functioning is 100% hardware: no software or driver tweaking is required. 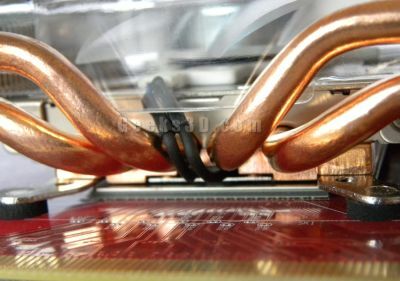 This probe allows an auto-detection of the GPU temperature and thanks to the BIOS as well as a simple logic integrated in the cooler, the fan is started or stopped according to the temperature. Ok, it’s time to see how this intelligent VGA cooler manages the temperature generated by the latest version of FurMark. I launched FurMark with the following settings: 1024×768, displacement mapping, post fx, Xtreme burning mode and no MSAA. After around 5 minutes of intense GPU cooling, the GPU temperature reached the low threshold that finally stops the fan. And the cycle can begin again. 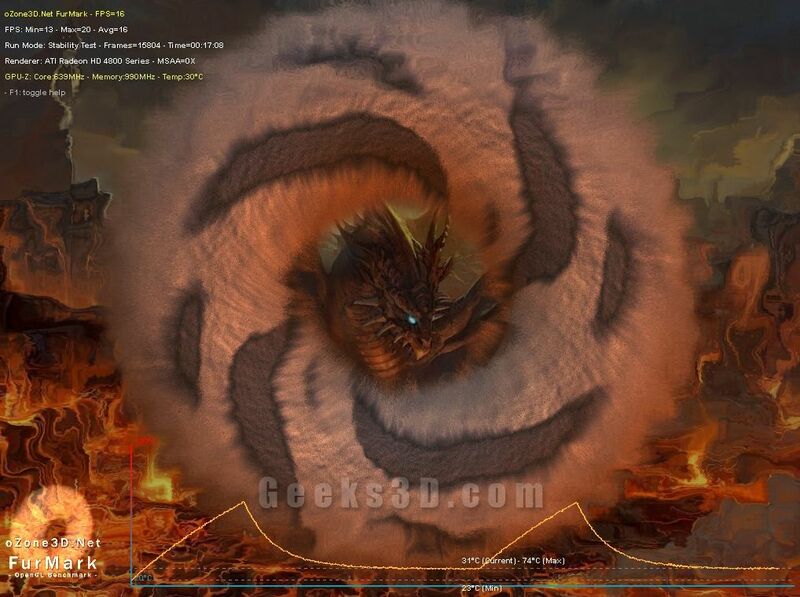 The screenshot shows 2 cycles. I don’t think that this kind of temperature variation is good for the GPU during long time: a difference of 43°C between low and high temperatures is enormous and is somewhat aggressive for the GPU. Maybe MSI has a software that provides a better temperature management (and fan noise reduction) but in this test, no software has been used.